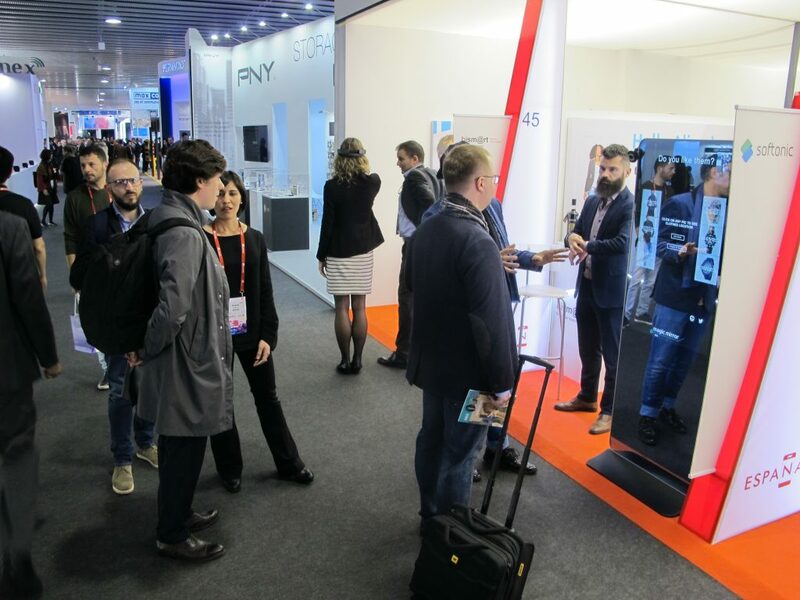 Bismart returned to the Fira Gran Vía once again for the world's biggest trade show in mobile phones and mobile technology to present their brand new product - the Magic Mirror. Over 108,000 people were attracted to Barcelona for the event, making 2017's edition the biggest in the history of the Mobile World Congress. Thousands of those in attendance admired the wonders of the intelligent mirror capable of scanning emotions in shoppers and prescribing them the most suitable outfits based on their current state and style. Not one, but in fact two Magic Mirrors were in place to excite the attendees at the Congress. Bismart had one of the units at our booth, with another one sitting with our friends at Techdata, who shared their vision of an Internet of Things powered futuristic world with visitors to their stand. Attendees walked up to the mirror and smiled to activate the facial recognition technology. The mirror, which will be placed in retail stores in the coming years and be used by customers looking for fashion tips, took a photo of the person to analyze their preferred style of fashion and their current emotions, complete with an exact breakdown of their emotional state correct to two decimal points. The mirror detected happiness, surprise, contempt, anger, disgust, fear, sadness, and neutrality in a person's face and offered personalized fashion tips accordingly. When the Magic Mirror is deployed in stores, a customer will be able to browse through the store's catalogue with the most suitable items displayed first for them. They will be able to share photos of the item(s) on their social media accounts, which will be linked to their profile by use of a loyalty card, which can be made either physically or digitally on their mobile phone. Their account will be able to remember their past items to learn what type of a shopper the person is, what style of fashion items they buy from the store, in order to propose the best items again for them. Take for instance, the bargain hunter. This type of shopper ignores the latest trends that come with the heaviest price tags, and instead are unperturbed by wearing last year's line as long as they get it for a much more handsome price. The Magic Mirror will recognize that this person prefers to pick out their outfit from the sales and will make suggestions from that section of the store that they are most likely to enjoy and therefore most likely to purchase. On the other side of the shopper spectrum, there is the ultra trendy fashionista who wouldn't be caught dead wearing last season's line. Whether it's spring/summer or fall/winter, they are always on point and ahead of the game. They are the shoppers that will only ever need the latest trends suggested to them, and the Magic Mirror will understand this. This is Machine Learning, computers learning human tendencies and learning how to behave without being explicitly programmed to. Once the satisfied customer has decided to go ahead with the purchase of the suggestions given to them, the Magic Mirror will be able to direct them to the exact store locations of the desired items. It will even tell them which till to go to for the shortest queue, if there is more than one in the store. This type of quality service is what Big Data can deliver to the retail world; personalized fashion tips, total ease of selection and service, inter-connectivity between social platforms. 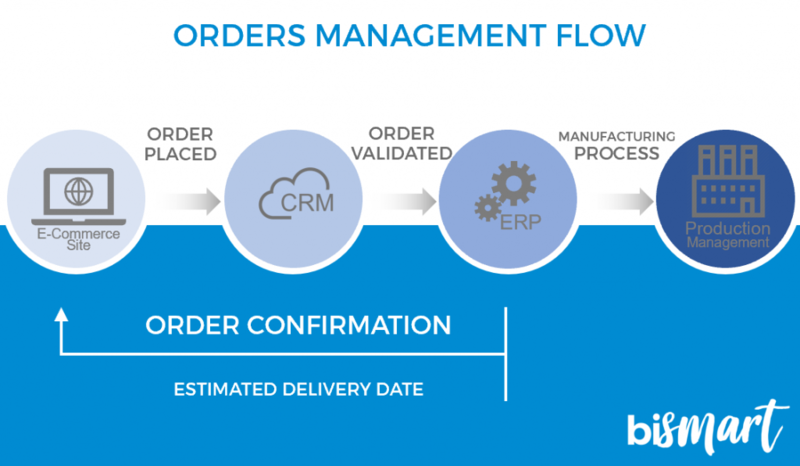 The entire shopping process will become streamlined for the best possible customer experience. 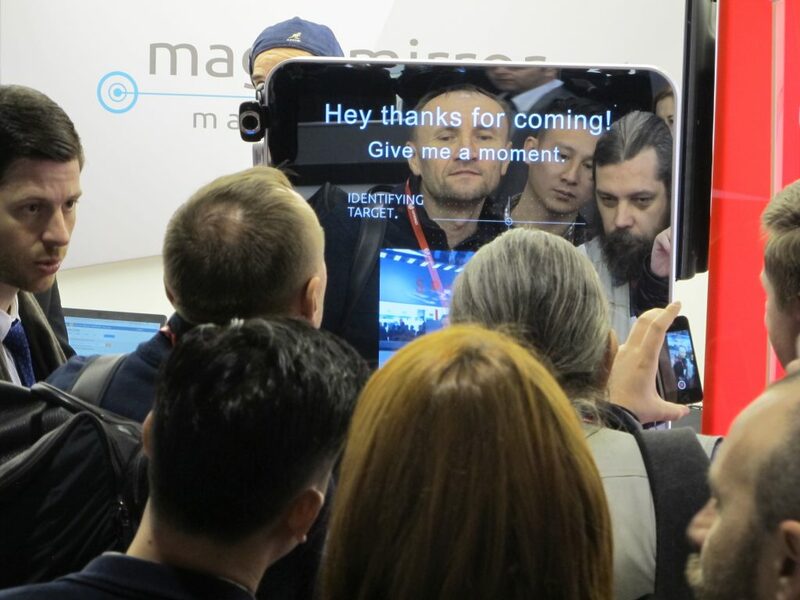 The Magic Mirror proved a huge hit at the Mobile World Congress; thousands of people came to have their photo taken by the machine and receive their personalized fashion tips. Spain's national public broadcaster, RTVE, stopped by to do a report for that night's national news, while TV3 booked the Magic Mirror itself to make an appearance in their television studios for a live show of Divendres. Many other media outlets dropped by for interviews and write reports on the future of retail shopping. The world is changing as the Big Data explosion grows and grows. New possibilities are opening up and new opportunities are springing from them. Technology already plays such a major role in our lives, but in terms of all of human history we are only at the very beginning of this new chapter of the story of technology. 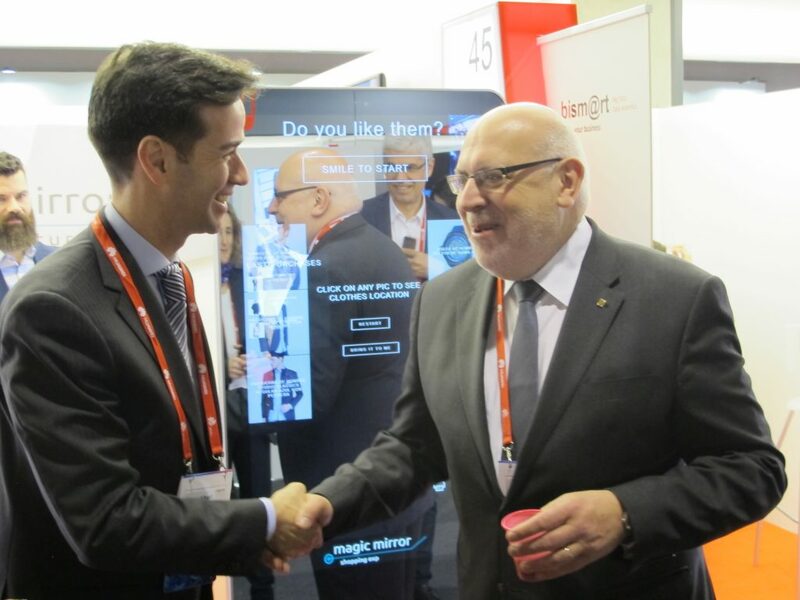 There remains so much more to come, and Bismart are leading the way for the world with exciting new products such as the Magic Mirror.